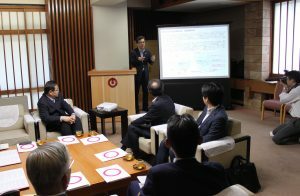 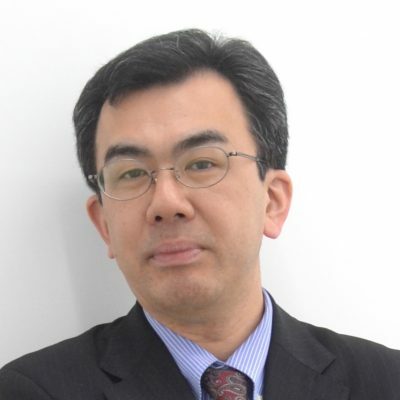 The Interfaculty Initiative in Information Studies, The University of Tokyo (hereinafter referred to as III) and Kochi prefecture have agreed to establish close collaboration and cooperation relations for the purpose of promoting education and research on information and communication technology including IoT technology (hereinafter referred to as IoT technology), solving regional issues and promoting industries in Kochi prefecture. The two parties concluded the agreement in the Kochi prefectural office on June 12. 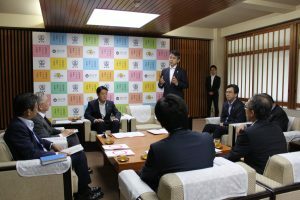 The signing ceremony was held from 11 o’clock in the morning and was attended by Mr. Masaaki Ozaki (Governor of Kochi Prefecture), Prof. Hideyuki Tanaka (Dean of III), Prof. Noboru Koshizuka (Vice Dean of III), and Takayoshi Inada (Secretary-General of III), as well as many people such as officers of the Kochi Prefectural Government, IT industry people in Kochi Prefecture, and TV stations and newspaper companies in Kochi prefecture. At the beginning of the ceremony, Prof. Koshizuka explained the circumstances of the conclusion of this agreement and its contents. 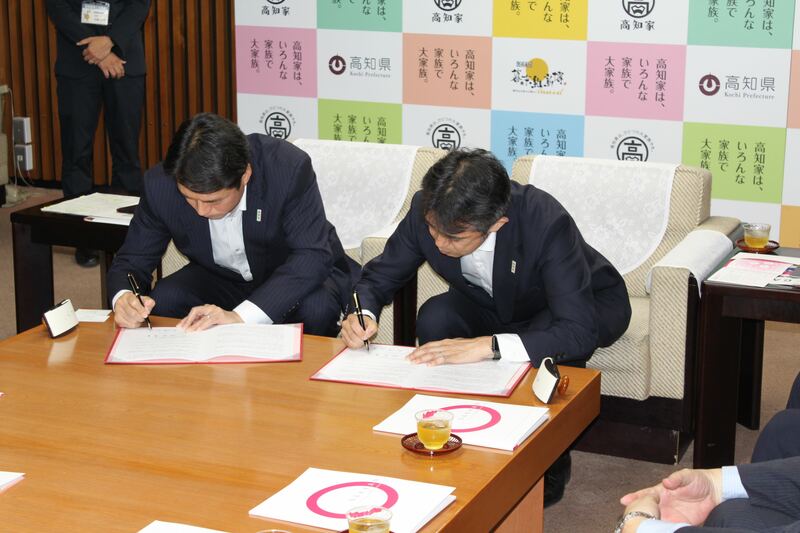 After that, Mr. Ozaki and Prof. Tanaka each signed the agreement. 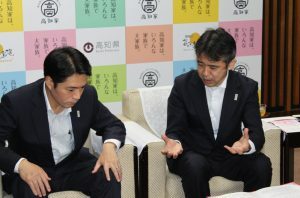 Mr. Ozaki said, “IoT will solve prefectural issues and we want to disseminate the results of the world’s most advanced research both domestically and abroad.” Prof. Tanaka said, “With this agreement, I would like to contribute to solving many issues and promoting local industry in Kochi prefecture.” After that, enthusiastic questions were held with television stations and newspaper reporters. 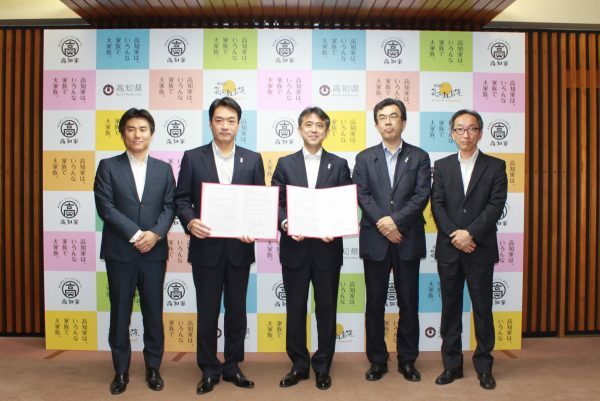 The ceremony was broadcasted by stations such as NHK Kochi and TV Kochi, and covered in the next morning’s press, including Nihon Keizai Shimbun and Kochi Shimbun, as news in Kochi Prefecture, thus demonstrating the high degree of attention in Kochi Prefecture. 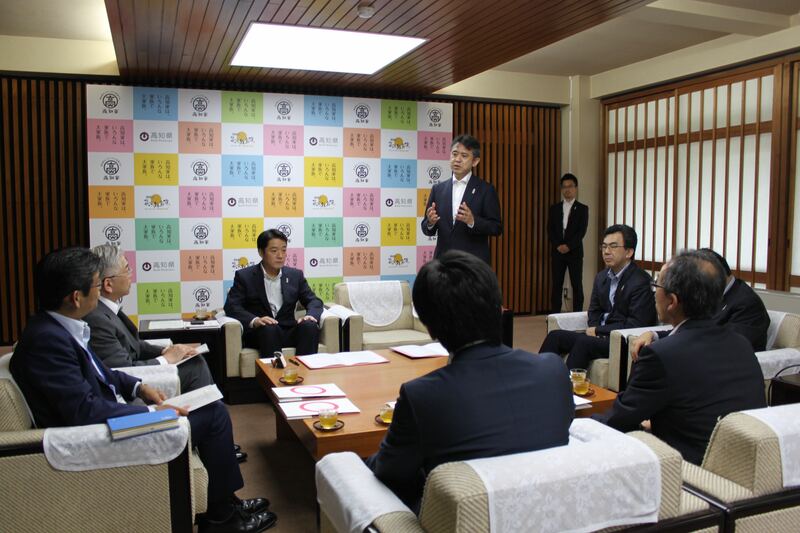 With this agreement, III will deepen cooperation with Kochi prefecture and contribute to solving regional problems and industrial promotion.